Hello there! I'm Dr. Cohen. I would like to tell you a little bit about myself. I have been practicing dentistry in the Southgate area for 16 years. I specialize in Dental Implants and Implant Dentistry. I have been in a dental family my entire life. My mother is a retired dental hygienist, and my father was a dentist. They practiced together in Lincoln Park and Wyandotte for 30 years. It is my goal to take the family and cosmetic dental practice my parents created to a new exciting level using the latest in practical technology, a friendly staff, and an attentive bedside manner. I enjoy spending time with my wife and two children, reading, and listening to music. Thank you for checking out our website and I hope to meet you soon! 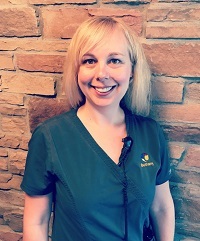 My name is Bethany and I have worked as a dental hygienist with Dr. Cohen for over 15 years. My favorite thing about dentistry is the one on one time with patients. Helping prevent periodontal disease and tooth decay is very important to me. My favorite thing to do is spend time with my two children. Family is the most important thing to me, and the patients have become part of my family. Hello, I'm Tiffany, your friendly dental assistant! I do my best to make sure you are as comfortable and relaxed as can be, and also make sure you totally understand each procedure and follow ups. I've been a dental assistant for almost two decades and have worked with Dr. Cohen for almost a decade. I love my job! I can't wait to see you at the office! Hello, my name is Zola. I am the insurance biller and treatment plan coordinator at Cohen Modern Dentistry. One of my goals for the office is to make our patients feel welcome. I like our location in beautiful Southgate. Come in and let us take care of your dental needs. Our office does it with a smile. Hi. 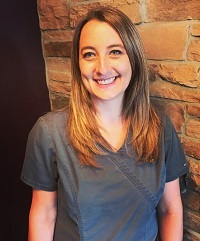 I'm Rachel, I am the newest Hygienist at Cohen Modern Dentistry. For five years previously I worked as a lead Pediatric Dental Assistant. During that time I attended Wayne County Community College where I obtained my degree in Dental Hygiene. I enjoy going for walks on the River Walk in Detroit, BBQ's with family and friends, watching the latest movies, and taking care of my fur babies, "Lincoln" my black lab, and "Crunchy" my cat. First and foremost, my goal is to provide competent and compassionate oral health care to our patients. I'm very passionate about dental hygiene, working with patients as well as working with the dental team at Cohen Modern Dentistry. I love what I do. I look forward to helping our patients achieve their oral health goals. Hi, my name is Destinee. I've been in the dental profession for 9 years, and now a new team member in the Cohen Modern Dentistry family! I couldn't be more excited! I am very blessed to have a career that I love and enjoy doing every day. Getting to be a part of enhancing a patient’s smile and dental health is very rewarding. 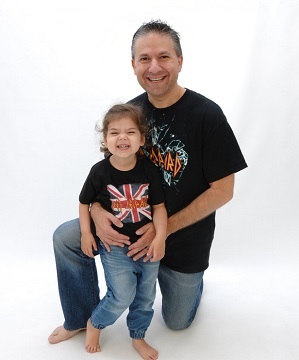 Outside of work, I have two beautiful children that keep me very busy, but I enjoy every minute of it. Life is good! Hey there. 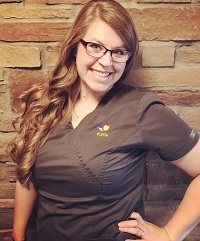 My name is Katie and I am one of the dental assistants here at Cohen Modern Dentistry. I have had a passion for dentistry since 2005. I learned early on about my passion and was able to complete two full years of a dental occupation course through high school. I have an extensive history with pediatric and special needs patients. Keeping up with the latest dental technology and procedures is very important to me. In my free time, I enjoy spending time with my husband and fur baby Snoop Dog, listening to music, catching up on the latest movies, and enjoying the company of friends. I look forward to giving you the very best care. My name is Misty. I am a patient coordinator. I greet you and make you feel welcome and comfortable as soon as you walk in the door. I’ve been working in the dental field since 2013 and I love working with such a great team in a positive atmosphere. I enjoy getting to know all the patients and taking care of any scheduling needs. I will do my best to answer any dental questions you may have and I can’t wait to see you! I like to spend my free time with my husband, friends, and 4 legged baby. Dr. Killgrove is alumnus of Michigan State University and University of Detroit Mercy Dental School. 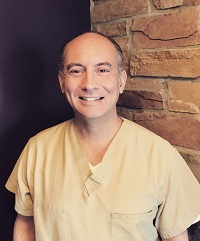 After dental school, he attended an Advanced Dentistry program at the Medical College of Ohio and Implant training at Zimmer Dental Institute. He is the father of 3 beautiful daughters. Dr. Killgrove enjoys spending his free time exercising and spending time with his family. In addition to topnotch dentistry, Dr. Killgrove’s other skills include painting, cooking and renovation. Dr. Killgrove enjoys attending continuing education courses to stay on the cutting edge of dental treatment so you can be reassured you’re getting the highest quality care. Hello my name is Stacey. I have been a dental assistant for over a decade. I enjoy meeting new people and making them feel comfortable and confident in their smiles. In my spare time I enjoy going to the gym and spending time with family and friends.